The Blot Says...: A New Star Wars: Rogue One Movie Poster with Darth Vader! A New Star Wars: Rogue One Movie Poster with Darth Vader! Yesterday direct Gareth Edwards unveiled the newest one sheet movie poster for Disney’s upcoming surefire blockbuster Star Wars: Rogue One! 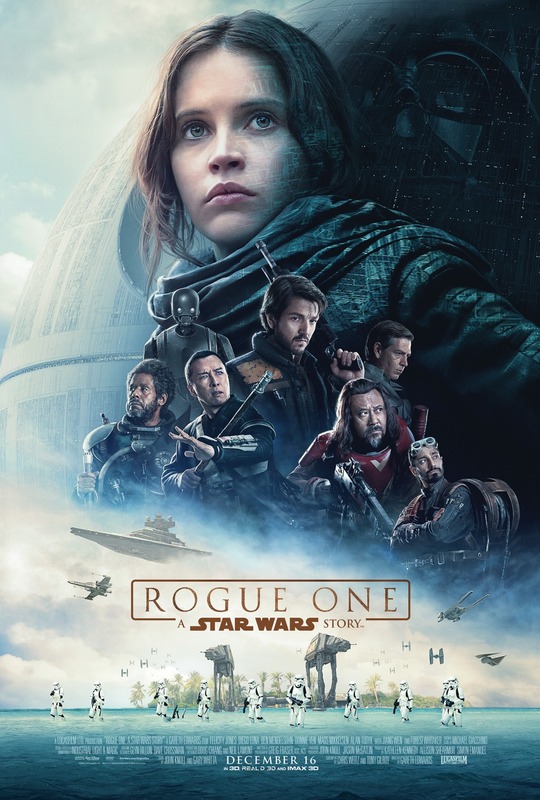 Not only does the poster look amazing, it also marks the first time we’ve seen Darth Vader included in a promotional photo or poster for the film’s marketing campaign. What do you think of this star studded new poster? Rogue One: A Star Wars Story opens on Friday, December 16, 2016.